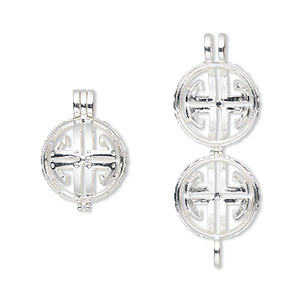 Item Number: H20-B4578FN Have a question about this item? 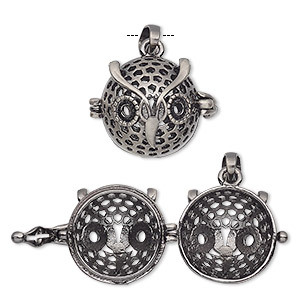 Jewelry-making is said to be relaxing. 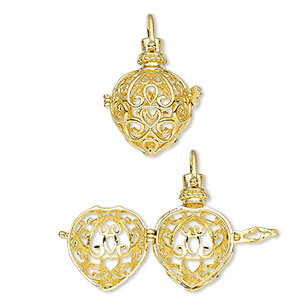 Take this concept a step further by creating a fragrant diffuser locket from this elegant pendant. 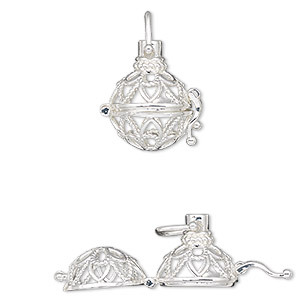 The heart front with an intricate cutout flower design is perfect for allowing essential oil-dipped cotton to disperse its therapeutic aromas as you move. 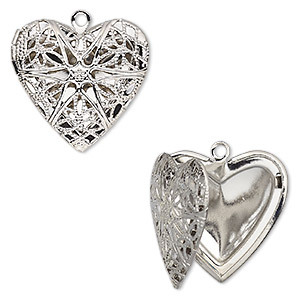 If you prefer your jewelry to not have a scent, the inside can also be decorated with a cherished photo, crystal embellishments, thin polymer clay creations and more. 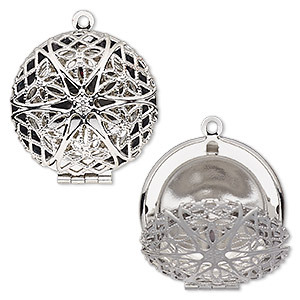 Drop, silver-finished brass, 28mm single-sided hinged round bead cage with cutout flower. Sold individually. 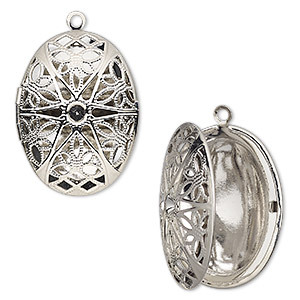 Drop, silver-finished brass, 34.5x26mm single-sided hinged oval bead cage with cutout flower and PP32 chaton setting with 27.5x18mm oval setting. Sold individually. 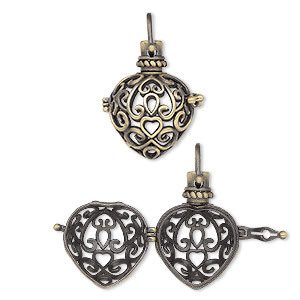 Drop, antique brass-finished brass, 29x20.5mm heart bead cage with fancy heart cutouts and safety latch. Sold individually. 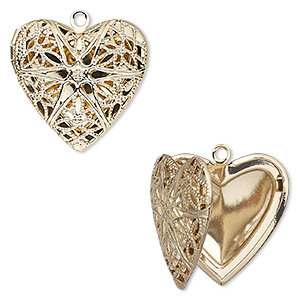 Drop, gold-finished brass, 29x20.5mm heart bead cage with fancy heart cutouts and safety latch. Sold individually. 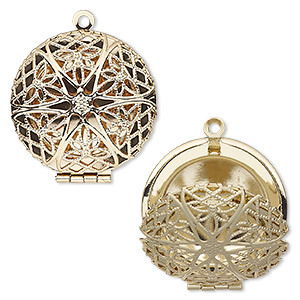 Drop, gold-finished brass, 28mm single-sided hinged round bead cage with cutout flower. Sold individually. 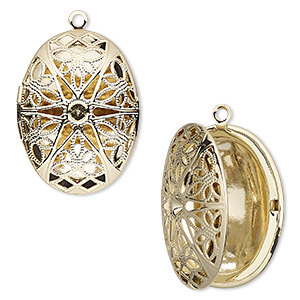 Drop, gold-finished brass, 34.5x26mm single-sided hinged oval bead cage with cutout flower and PP32 chaton setting with 27.5x18mm oval setting. Sold individually.